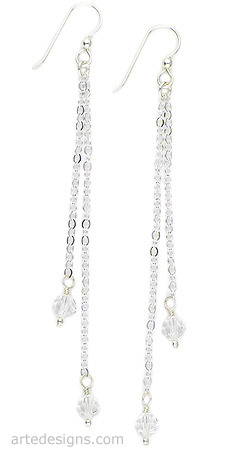 Clear Swarovski crystals sparkle and dangle lightly on long sterling silver chains, creating a very elegant pair of earrings guaranteed to elongate your neckline. Approximately 4 inches long. Sterling silver wires.